This year’s E3 was definitely an improvement over last years. Armchair attending the conference was fun, enjoying some new game announcements and getting some new footage of games I’m excited about. 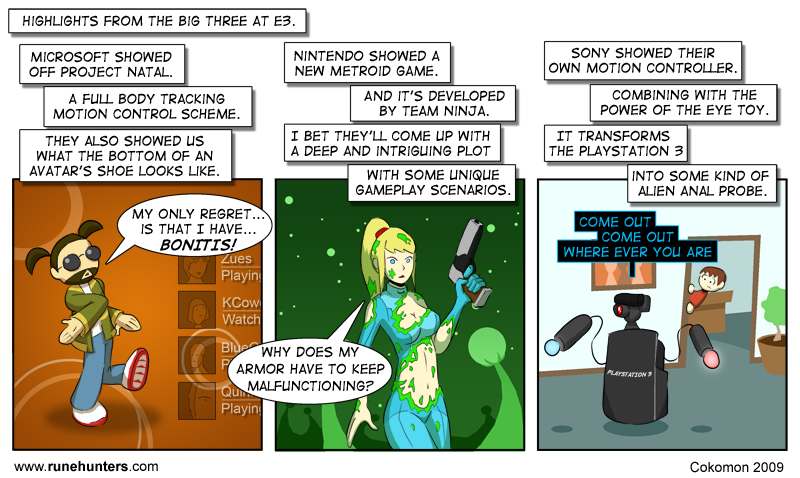 Here’s my thoughts on the Microsoft, Nintendo and Sony press conferences. They are only almost a week late!